I opened it on the weekend of March 29th to 31st with two sessions of astrophotography. The Whale and the Hockey were captured Friday night March 29 near the Banchet Pass north of Voiron. 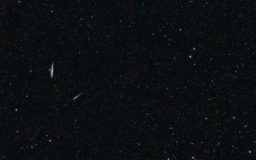 These are the NGC 4631 and NGC 4656 galaxies in the Canes Venatici constellation, about 30 million light-years apart. 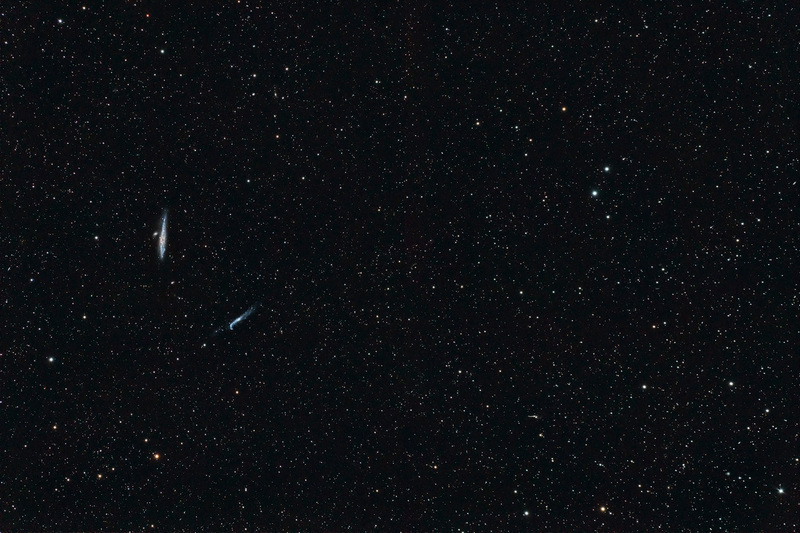 We also find not very far “The Mice” NGC 4676, two galaxies collide. And, as usual, a whole swarm of galaxies from PGC catalog! 56 exposures of 1 min. 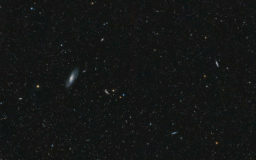 The Saturday, March 30th, it is M106 which was in the spotlight. A fairly rich field in the Big Dipper. 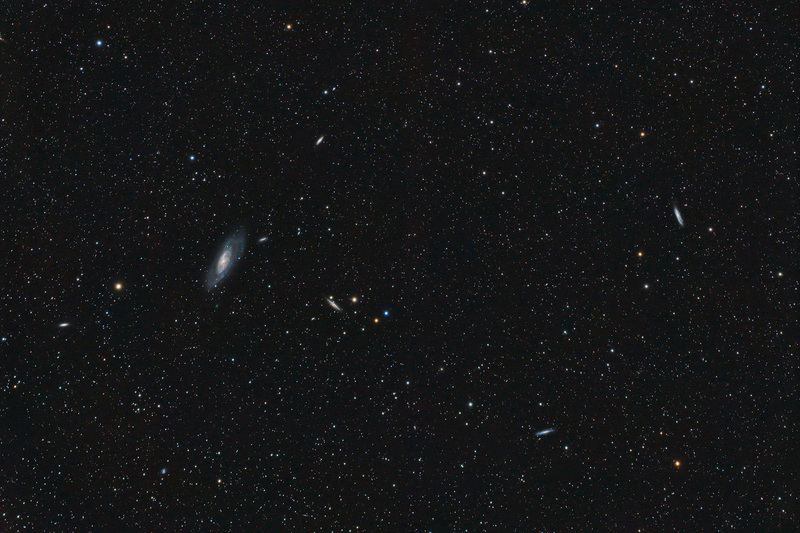 This is a classic from the Messier catalog that we often observe. She is accompanied by some pretty NGC.